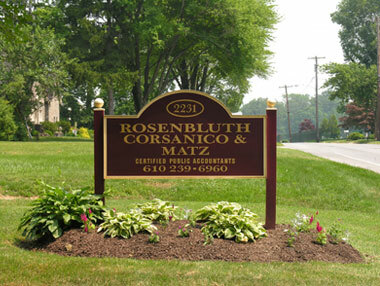 Rosenbluth, Corsanico & Matz, a certified public accounting firm, has been representing businesses and individuals for over 25 years. The firm consists of two partners, Douglas L. Matz and Irina Navasardian, and an experienced support staff available to meet our clients' individual needs. Preparation of compiled or reviewed financial statements. Preparation of Corporate, Partnership, Individual, and Fiduciary Tax Returns. IRS and State Audits and Investigations. Quick Books Training and Consulting. QuickBooks Pro Advisor Program Accountants (AICPA). Enrolled in the AICPA Peer Review Program.